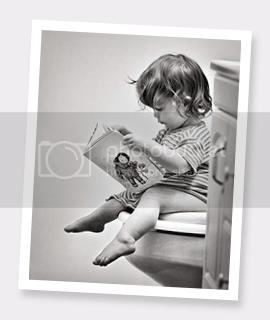 In my experience, the best time to teach kids to be independent in a potty seat is during their pre-school years. Here are my strategies to share for your kid’s toilet training. Set a schedule. Bring your child to the potty after every meal, before bedtime or prior to any outing. He/she learns the habit of using the comfort room, before the urge becomes uncontrollable. It is recommended also to train them with their potty seats inside your comfort room. Never scold them if the attempt is not successful. Choose your words, simply say “let’s use the potty”. If he succeeds, I praise him by saying “Oh, You went by yourself! Good for you! Of course, there will come a time that he already pooped before reaching the potty, be patient, this will help him realize how uncomfortable it is to be soiled. Give him space to defecate, as much as possible do not stand in front of him while he is doing so. He needs to experience the thrill of success that comes down from doing it on his own. Tell him to just call you when he is done, but stay near because accidents might happen if he is all alone. We have to stay calm in these matters, don’t get angry if your child resists and don’t freak out when your child has an accident. By staying cool, you avoid power struggles and unnecessary anxiety. Great tips. As early as three both of my daughters were already potty trained. I wasn't aware that some parents have had a hard time potty training their kids until I've seen some of my daughters' classmates still peeing in their pants while in nursery class. I'm glad that my boys never really gave me a hard time to trained them, because they decided to do it all by themselves when they are ready.